This Easy Baked Garlic Shrimp is a family-favorite recipe for preparing shrimp! I am headed into my senior year of high school this week. Time flies, right?! I am committed to eating healthy in my senior year, so I thought that these shrimp would be a fantastic way to kick off my journey. 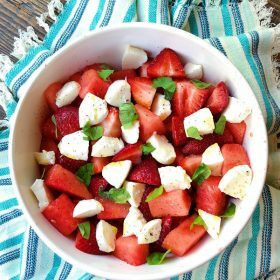 This dish is incredibly easy and perfect for weeknight dinners, when most families might turn to frozen food or takeout. 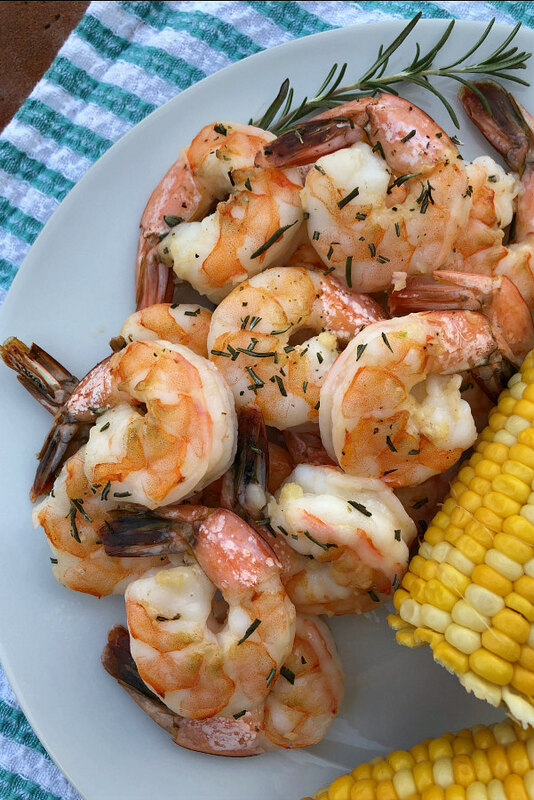 Easy Baked Garlic Shrimp is a simple, healthy recipe to make following an indulgent summer. Shrimp is awesome! 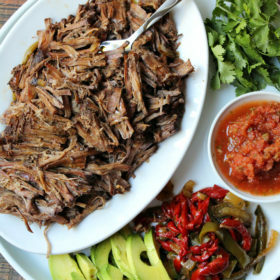 After eating this dish for dinner with the family, I used the leftovers to make salads and tacos the following day. 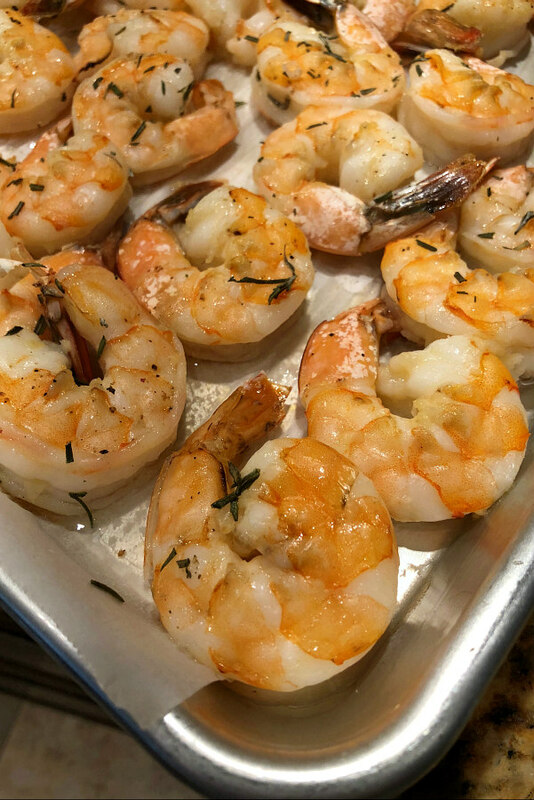 We love this recipe for Easy Baked Garlic Shrimp because it’s so versatile! 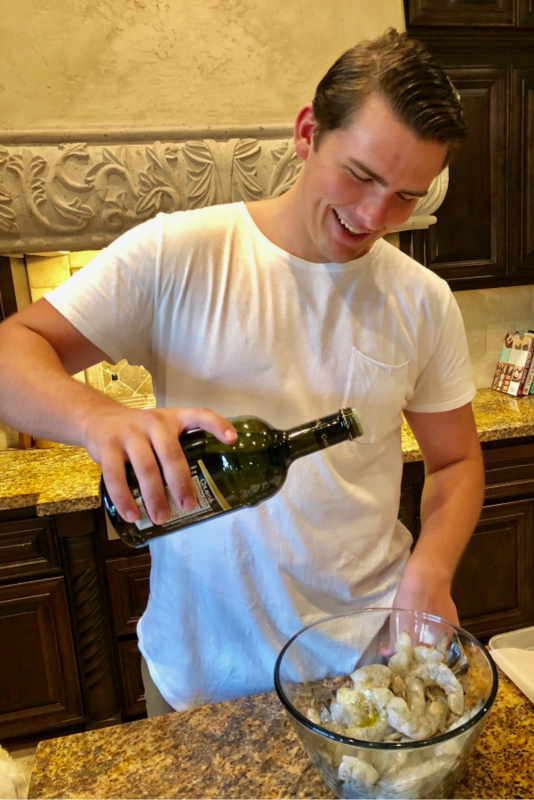 To prepare the recipe you’ll be coating the shrimp with a little bit of olive oil, garlic, fresh rosemary and salt and pepper. 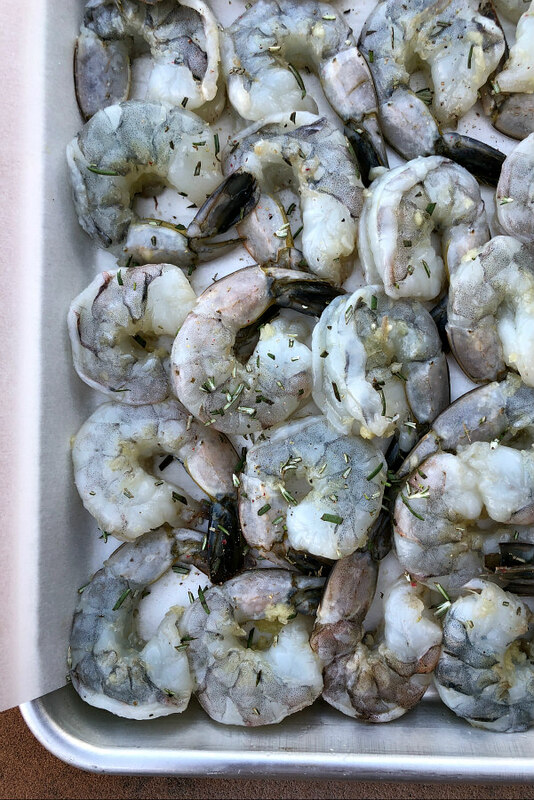 You’ll snuggle the shrimp onto a sheet pan to get ready for the oven. Shrimp look pretty peculiar before they’re cooked. After baking, however, they become those beautiful, curled up, little orange creatures that we all love! So delicious! These shrimp taste amazing and are perfect for any meal. The name of this recipe may contain garlic, but the taste is not overpowering at all. 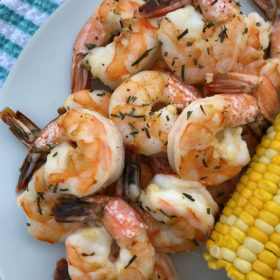 I served the shrimp with corn on the cob, which is my FAVORITE side! I will definitely be making this recipe for years to come. It’s a blessing in our house! It has great flavor, it’s healthy, and it’s very filling. If you’re looking for more easy dinner recipes, you might enjoy trying my Chicken Pizzaiola or this Easy Chicken Chow Mein. Skillet Baked Macaroni and Cheese, Easy Parmesan Buttered Noodles and this 15 Minute Tomato & Tortellini Soup are also easy dinner choices. This is a quick and easy, delicious dinner that is perfect for busy weeknights. Preheat your oven to 400 degrees F. Line a large, rimmed baking sheet with parchment paper. 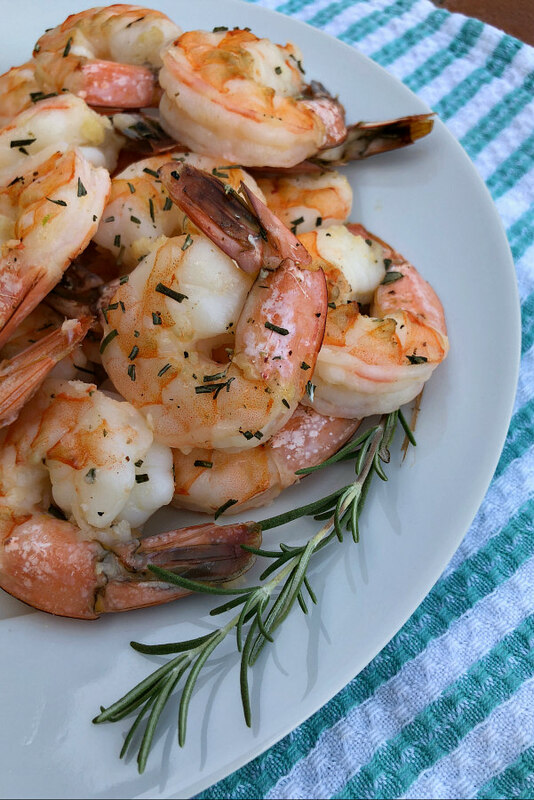 Place shrimp in a large bowl and toss with olive oil and garlic. Spread the shrimp out onto the prepared pan. It's okay if they are snuggled next to each other. Sprinkle with rosemary, salt and pepper. Bake for 8 to 10 minutes, depending on the size of your shrimp. The shrimp will curl up and turn pink when done.